From the 21st to the 25th of may : a market place with pitchs and creative workshops about innovation, energy transition, digital transition. ENGIE U Camp Singapore” is bringing together ENGIE APAC, China and MESCAT for a week of inspiring sessions ! 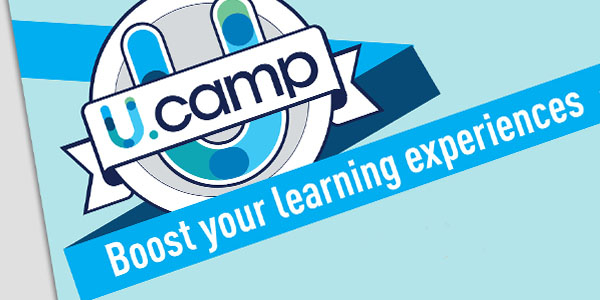 U Camp is a one week learning experience in one location, hosted by ENGIE University for managers and executives from different BUs. The objective is to create a place to learn, to develop and to commit together to accelerate the business transformation of the Group. U Camp is hosted during the Innovation Week to put a strong emphasis on innovation. Topics will range from Design Thinking sessions, digital transformation as well as an evening Market Place of new solutions from across the region. On the 21st of may : ENGIE Lab Singapore shares the emergings trends, the latest technologies and innovations on energy transition. On the 24th of may : ENGIE Factory kick off presentation of the APAC initiative which aims to develop startup collaboration projects and mainstream innovation in the region. Internal conference on "Digital Transformation"